Save Time: No need to search the internet to try to find the best vacation for you and your family. Starting with some simple details, I can present you with options and working together we can find the perfect fit for your family vacation. Get the best value: Many deals and specials go unused simply because people don't know about them. I can access any available promotion at the time of your deposit and then I will continue to look for promotions that can be applied to your vacation. Before you make your final payment, I will make one last check to be sure you are getting the best value for your trip. 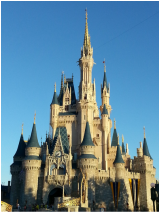 Planning for Disney: Going to Disney can be overwhelming, especially if it is your first trip. I can help you navigate through all the pre-planning stages and share tips and secrets to make your adventure magical. Planning for a Cruise: A cruise is a great, mostly all-inclusive vacation option. Planning is important for fully enjoying your vacation time. Let me help choose the best category stateroom for you and your family and assist you will any extra dining reservations or short excursions. All of this at no fee to you!